Last summer I had a thought about the concept of Saffers abroad and shared it with my wife Jules. 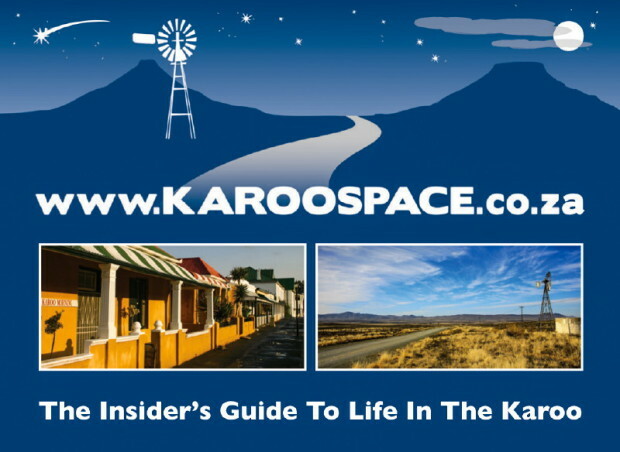 Karoo Space – easy to find on Google. That was the concept of our brand-new Karoo Space e-Bookstore, right there. We wanted our mythical Saffer living in the Prairie Province of Canada to Google ‘Karoo’, find us, order up one of our e-books and be reading it within minutes. Just because a South African is now living overseas for some reason does not mean he or she does not long for the home country. Not the lumpy bits, of course. No one misses the lumpy bits. But the vast, beautiful Karoo is definitely not in the Lumpy Bit section of South Africa. 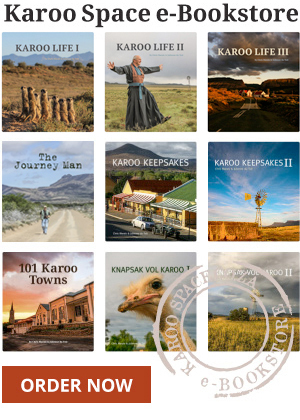 So we carefully set about converting our current print editions, Karoo Keepsakes I and II, into e-books. And they literally came to life on all manner of digital screens, from our big PCs to our tablets and even onto the smaller mobile devices. 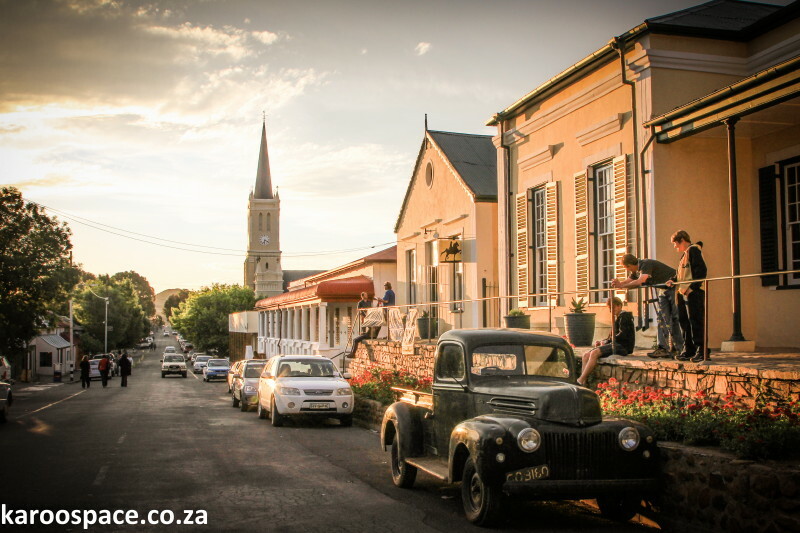 We threw some bells and whistles in (but not too many, because we trade primarily in stories made from words and images) and had them translated into Afrikaans. Say hello to Knapsak vol Karoo I and II. One of the new editions in our e-Bookstore – an essential Karoo traveller’s companion. 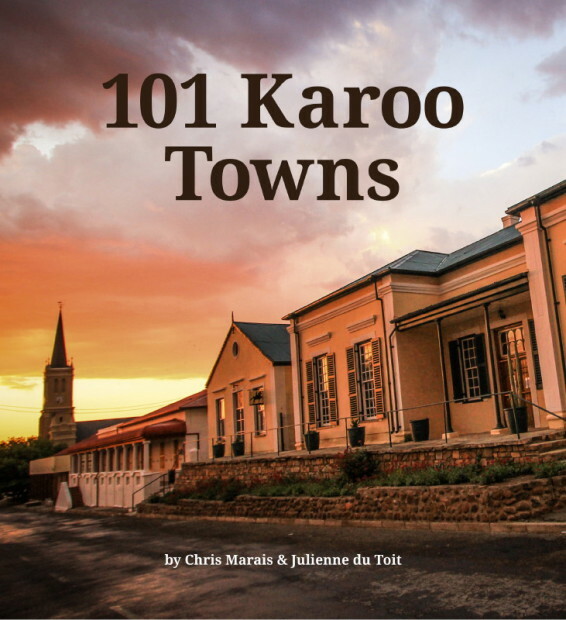 Then we made a totally new e-book based on a decade of swerving around the heartland of South Africa: 101 Karoo Towns. This book was designed for my new imaginary friend from Canada, but also for real-time travellers through the Karoo who were using digital tablets and other mobile devices. The local market, especially the 100 000 or so people who read SA Country Life magazine (our long-time print partner) every month, has always been our traditional customer base. They buy our print books and they’re beginning to purchase the e-books as they become more familiar with the many wonders of using a digital tablet. One morning three weeks later, Jules brought me a cup of coffee and some tremendous news. “You’ll never guess where the latest e-book order has come from,” she said. So there it is. Our dream is becoming reality. We are connecting with South Africans across the globe. And none of us will ever feel alone again. Southern Free State Karoo in the beautiful light at the end of a summer’s day. “I am from Kimberley, NC and live in Saskatchewan, Canada. I stumbled across Karoo Space completely by accident via David Kramer’s FB page. “I can tell you there are many of us in Saskatchewan (SK) that miss South Africa and the Karoo. I just had a few weeks here in SA, travelling all the way up to the Kgalagadi, then through Springbok to Paternoster and Cape Town and back via the Karoo National Park – a most stunning place. And I loved every second of it. 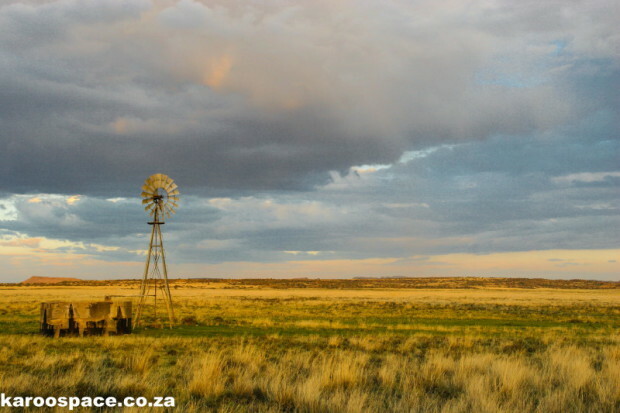 “Sometimes the Canadian Prairies remind me of the Karoo, the vast open spaces, the sky stretching into forever… and I love how my Prairie children can come here and fall in love with the Karoo right away. Karoo Life I, II and III combined – save R60. Karoo Space e-Bookstore – 12 Frequently Asked Questions e-Bookstore Update: What Our Readers Say Reviews of the Karoo Space e-Bookstore Karoo Space – Deserts in the Blood Karoo Space eBookstore Goes Live! Walks with German Shepherds in the Karoo Karoo Print Books vs Karoo eBooks Are the Frackers Fracked? hello from me in the UK – read all. Be safe.